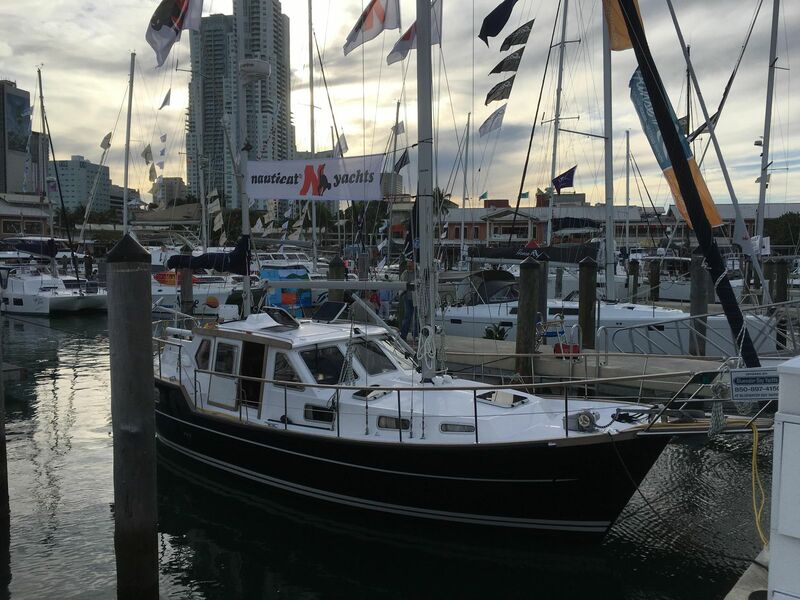 This 2015 Nauticat 331 pilothouse motorsailor is an incredible offering. 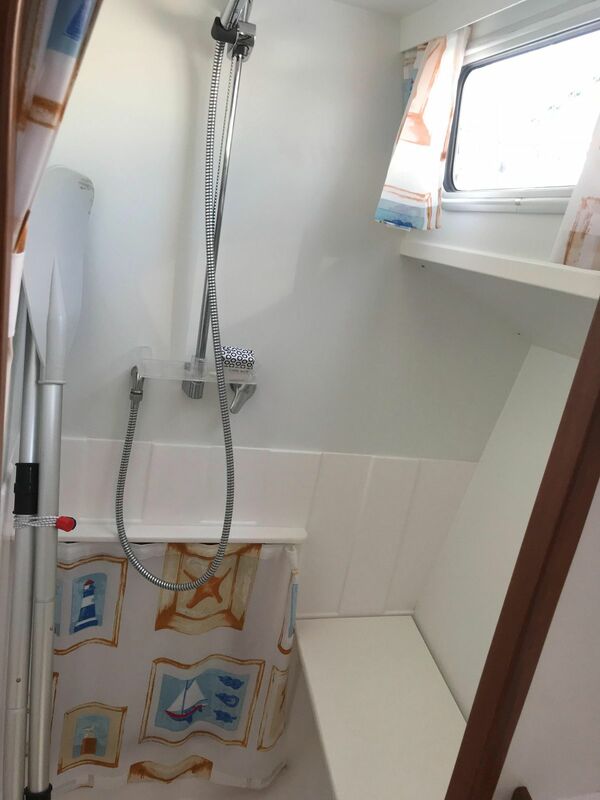 It is brand new! 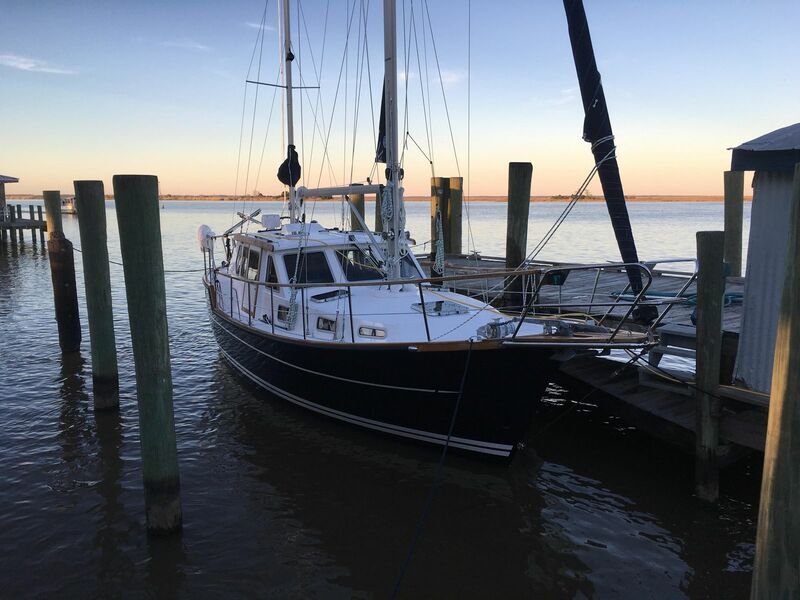 The owner took delivery in 2016 and plans have changed! 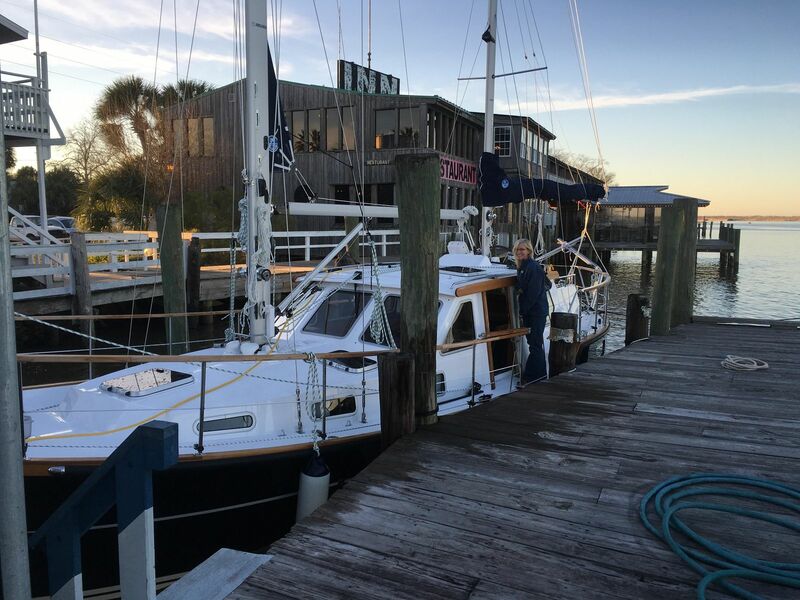 We have the final factory contract with all the options for this amazing liveaboard cruise-equipped yacht. 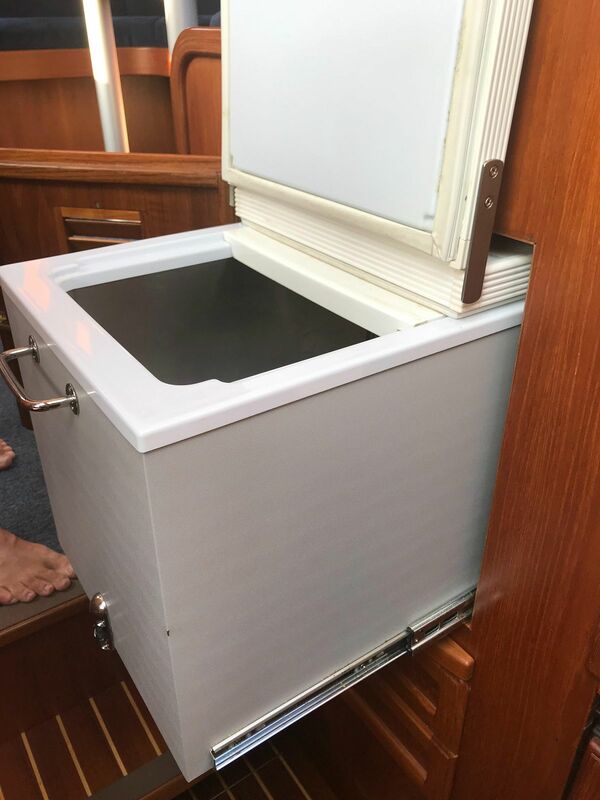 After delivery to the US, the owner spent an additional $35K to make the yacht perfect for cruising. 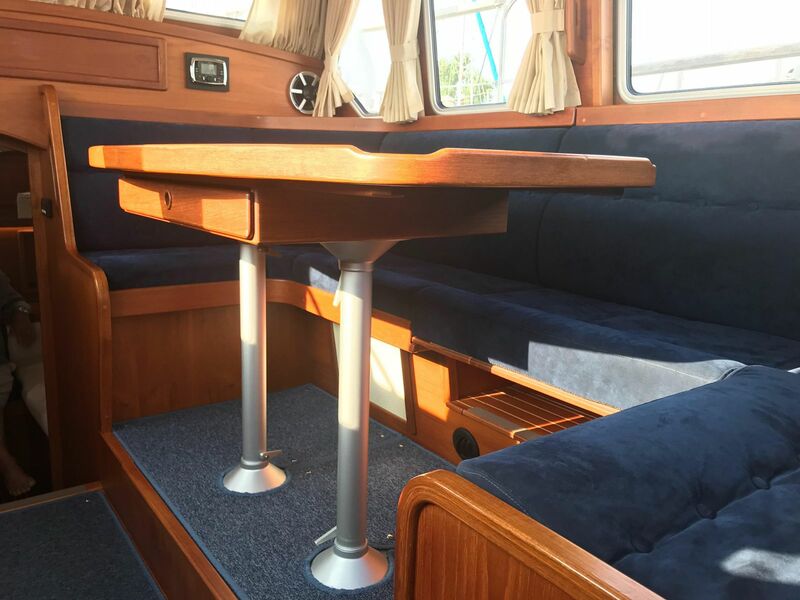 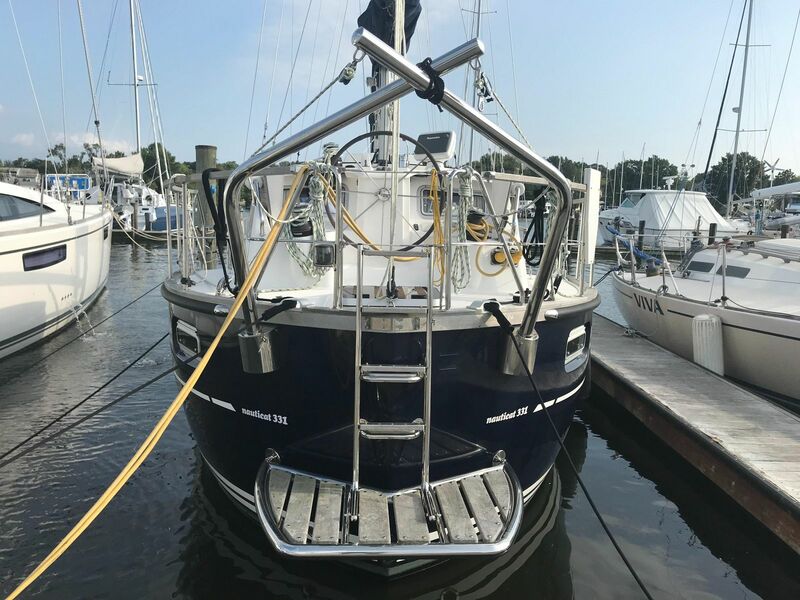 This is an amazing opportunity to own a brand new Nauticat 331 without the wait and expense of a new boat built in Finland. 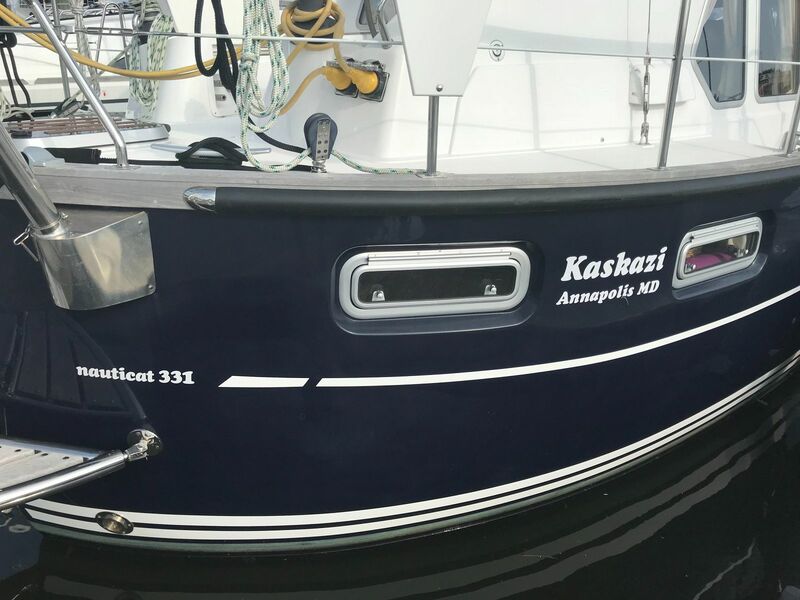 Our Nauticat 331 is called Kaskazi, named after trade winds in the Indian Ocean. 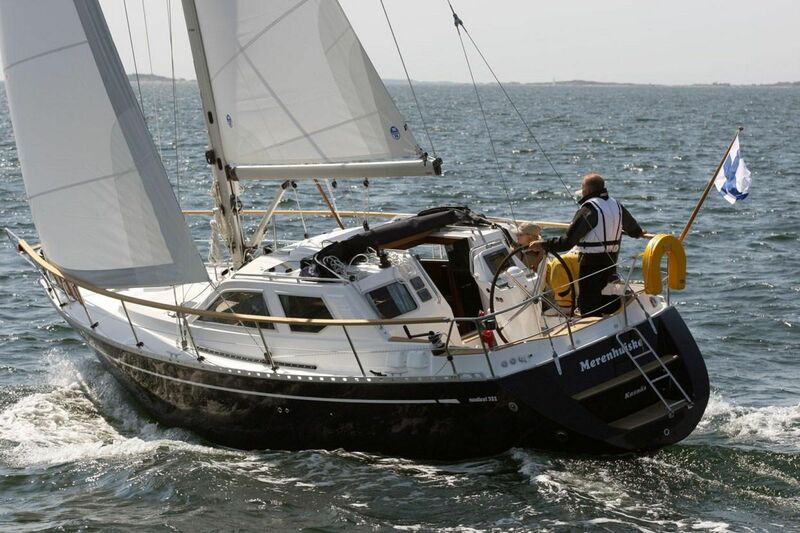 She was built in Riihikoski, Finland by Nauticat Yachts OY. 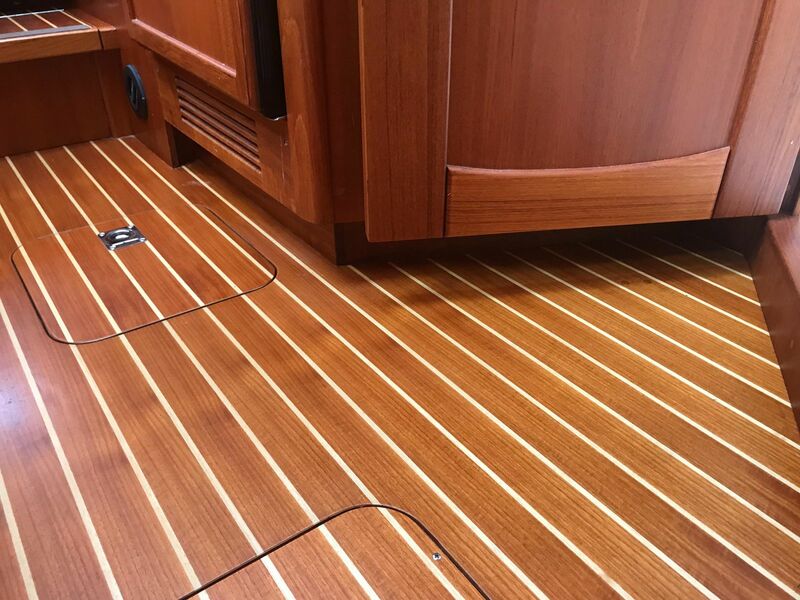 The build quality of these yachts is unsurpassed. 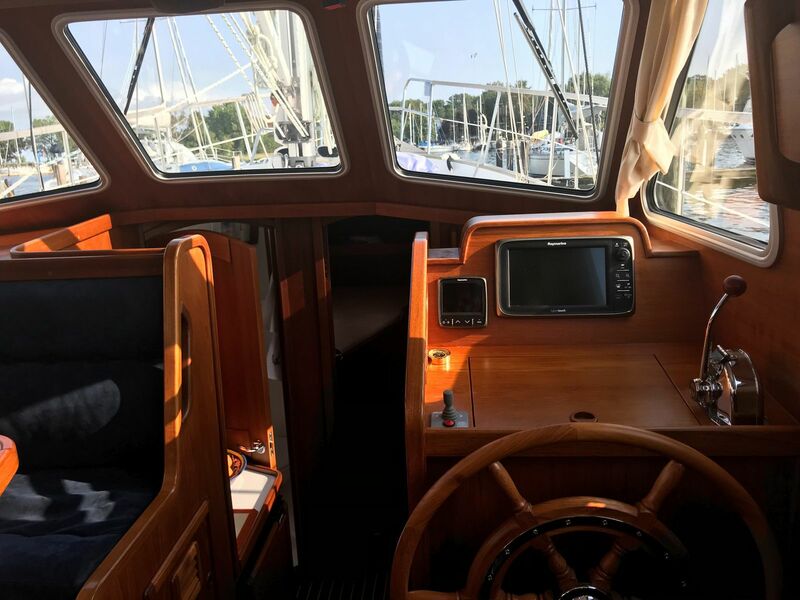 Scandinavia, especially Finland, turns out some of the world’s best-designed and best-built sailing vessels including the Nautor Swan, the Baltic, the Hallberg-Rassy, and of course, the Nauticat. 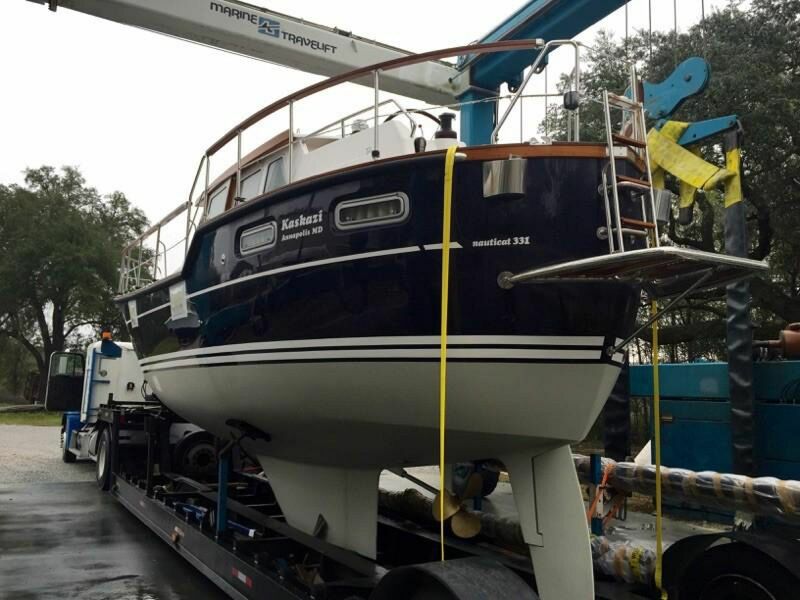 The builder, Nauticat Yachts OY, shares the same work ethic, the same skilled labor force, and the same belief that the vessel should be built right, to take her owner and his or her family out swiftly, back safely and comfortably. 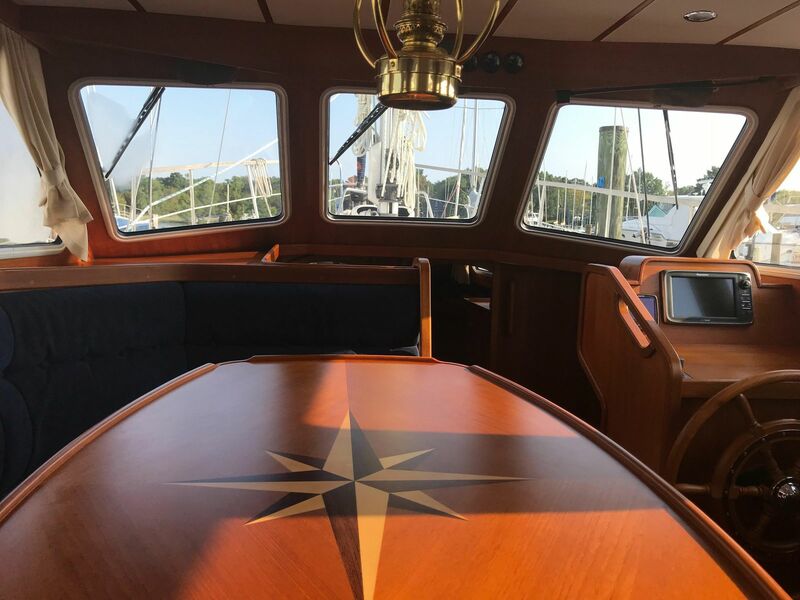 There aren't many other places in the world that build sailing vessels with such pride and such strength, built to take the rigors of Finland’s Baltic Sea. 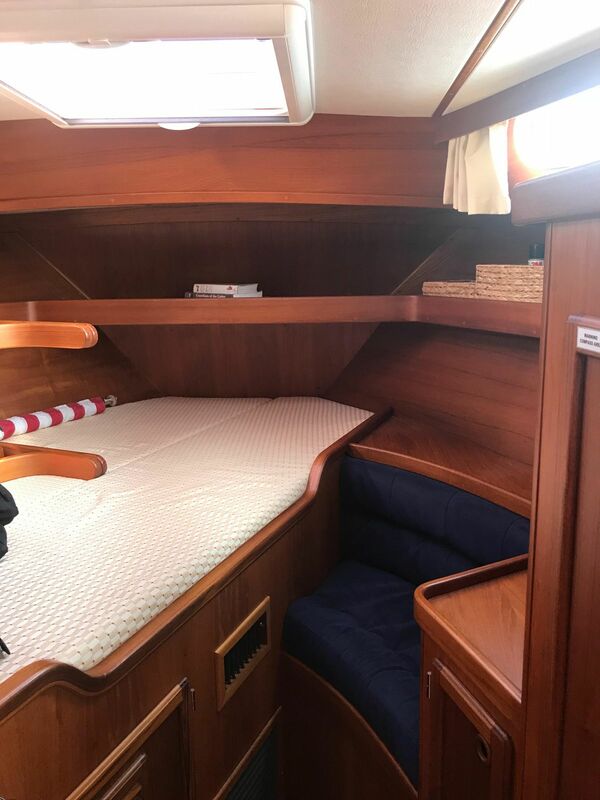 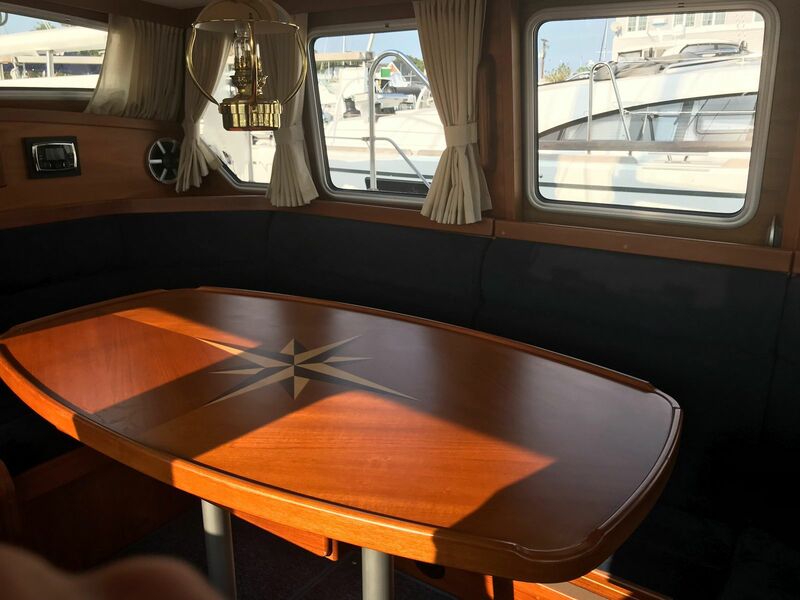 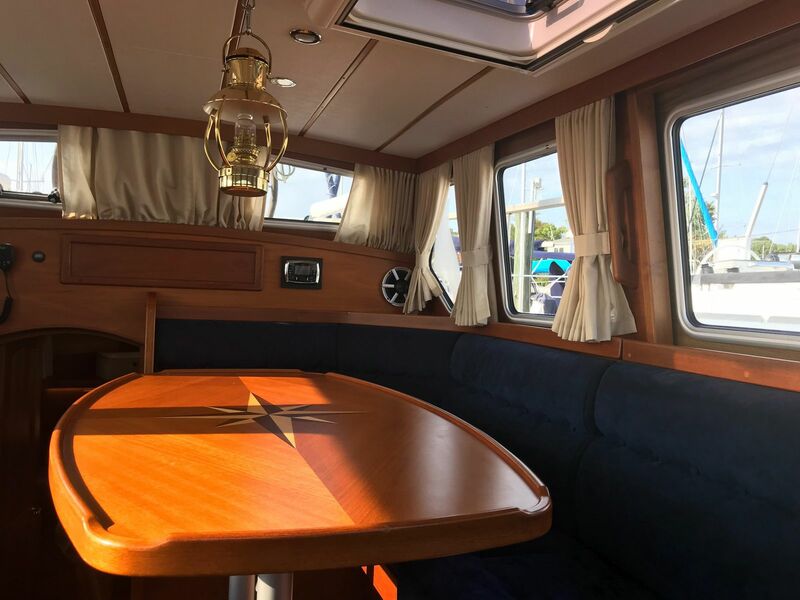 While the Nauticat 331 -- 34’1” in length -- might not sound like a big liveaboard boat, you will be amazed at the space and spaciousness of this beautiful offering. 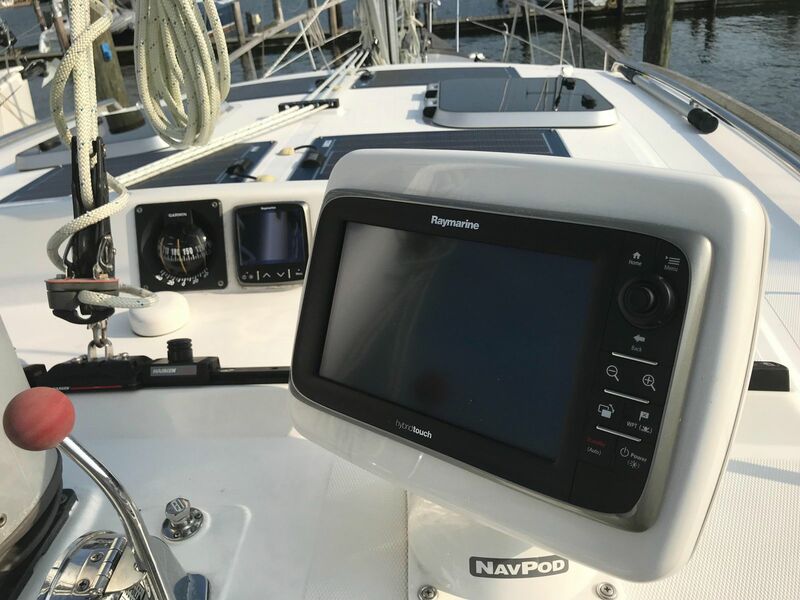 We are so pleased to market this very new, fully-equipped and extremely lightly-used Nauticat 331. 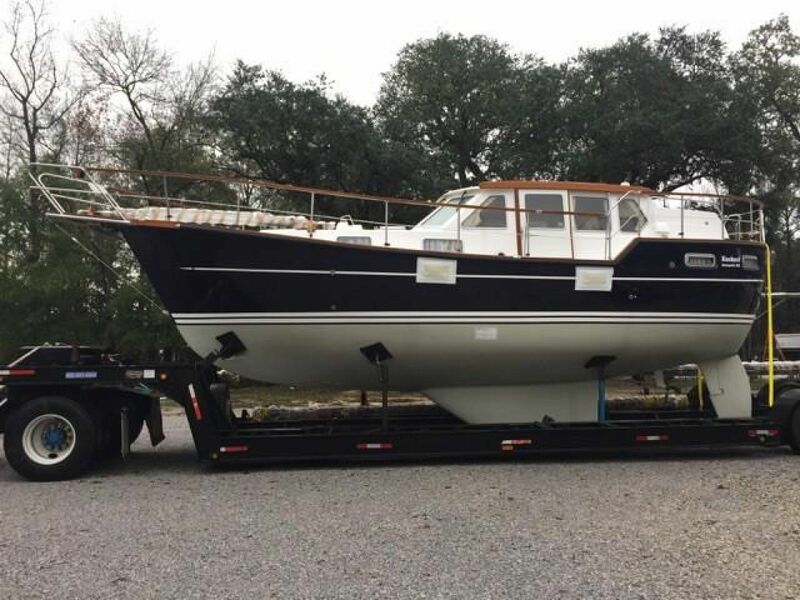 She is a really big 34! 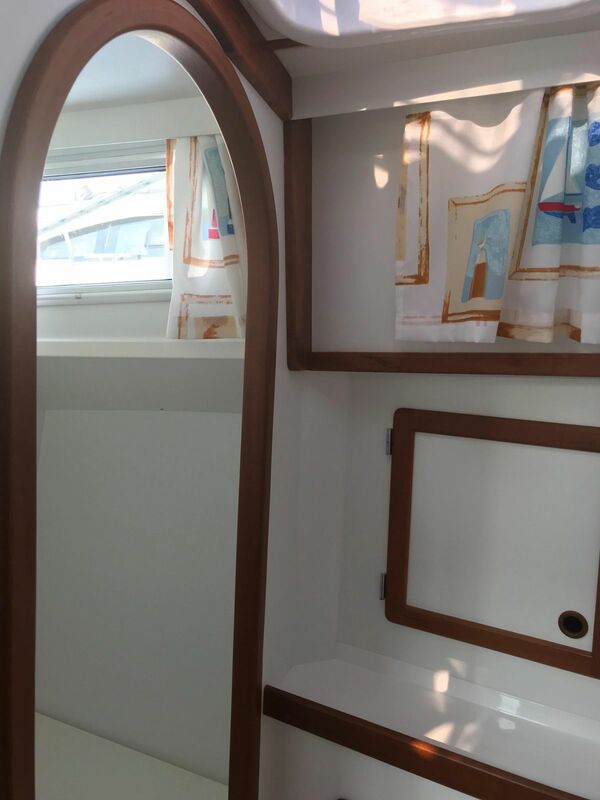 She has every option and every single bit of inventory you need! 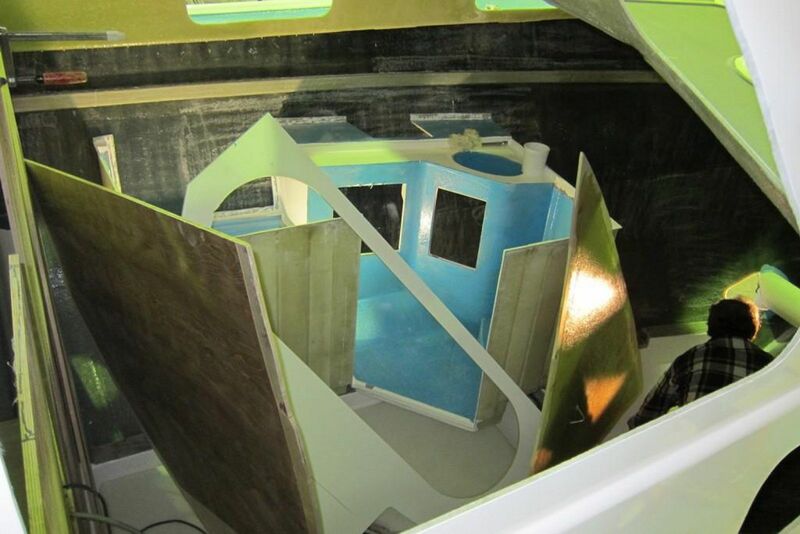 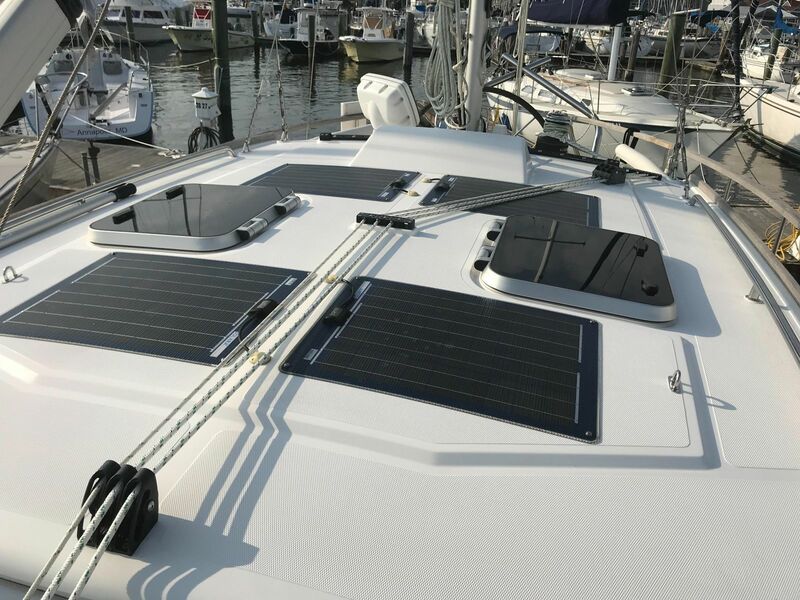 Standard 4’10” draft keel -- great for the Bay, the East Coast and Bahamas! 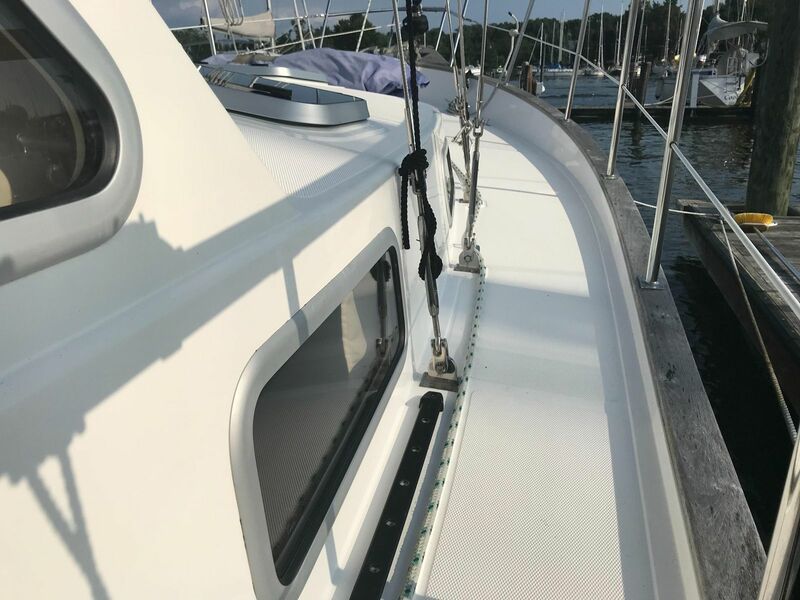 All North Sails with vertically-battened main. 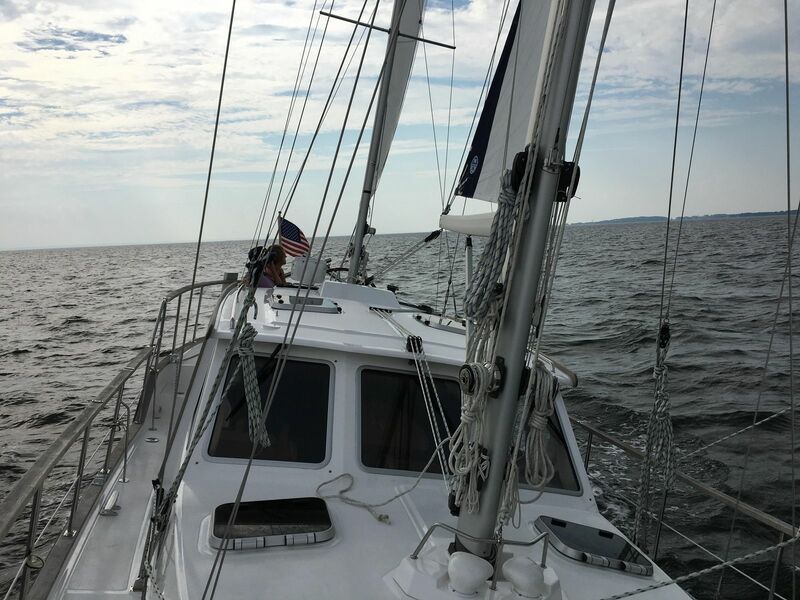 Incredible suite of sails, including storm jib! 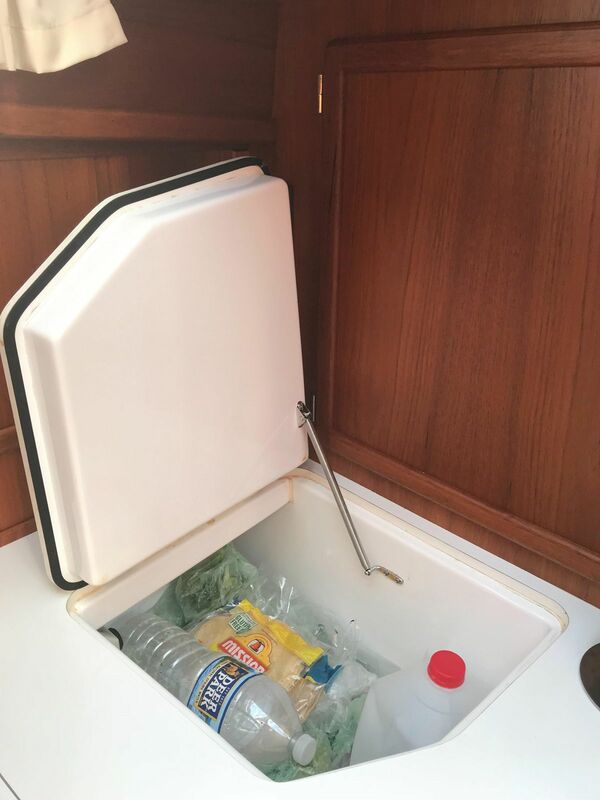 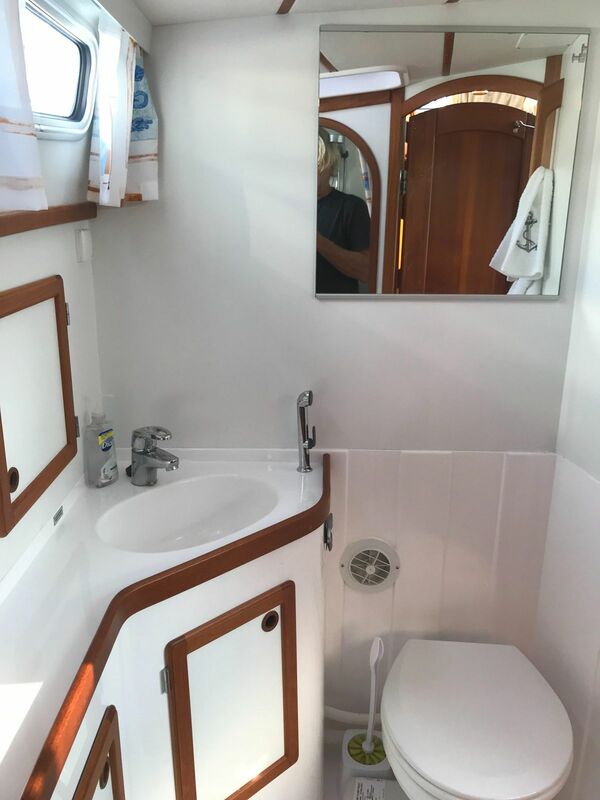 Electric toilet and separate stand-up shower – liveaboard option! 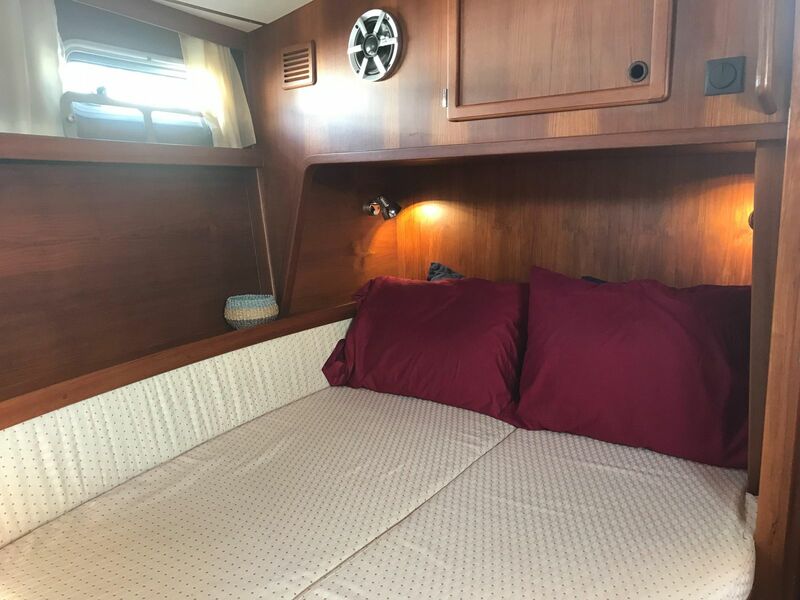 Spacious galley with deep top-loading refrigerator; separate front-opening refrigerator for convenience; and drawer-style freezer – all liveaboard options! 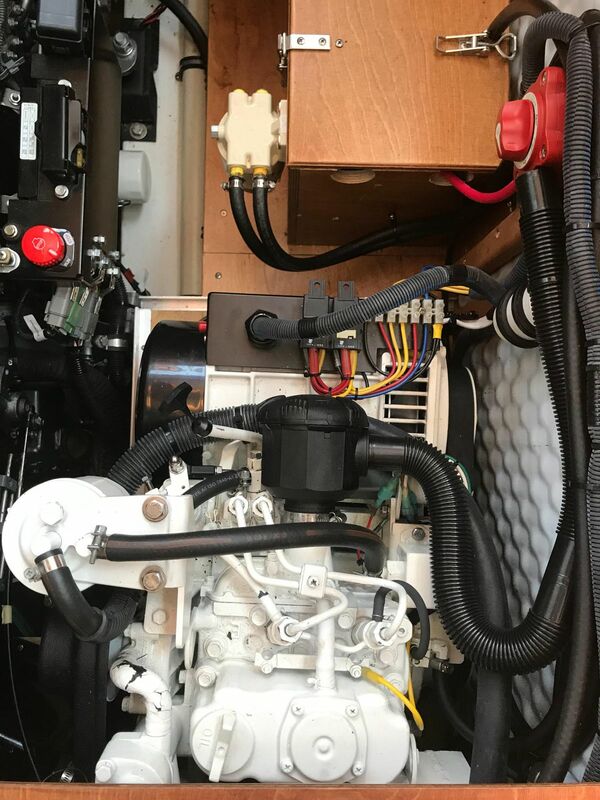 Wabasto diesel heater for heat at anchor! 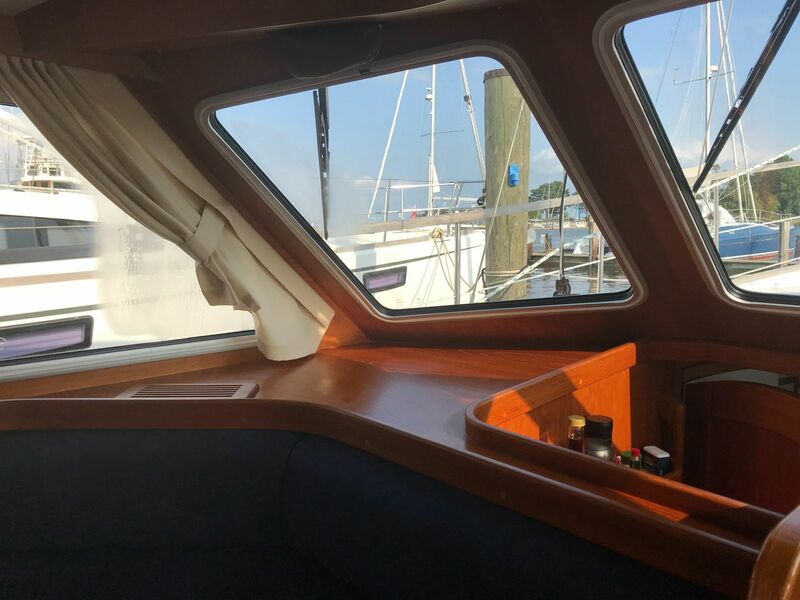 Liveaboard Option! 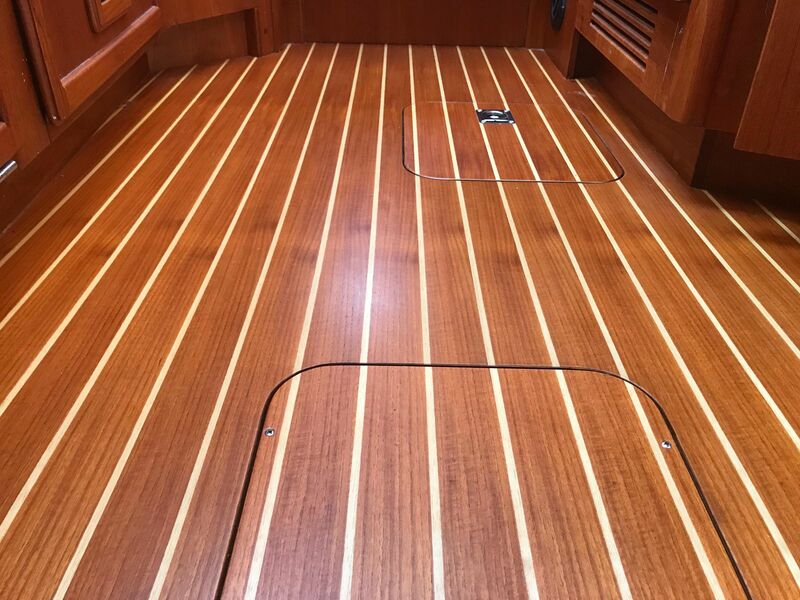 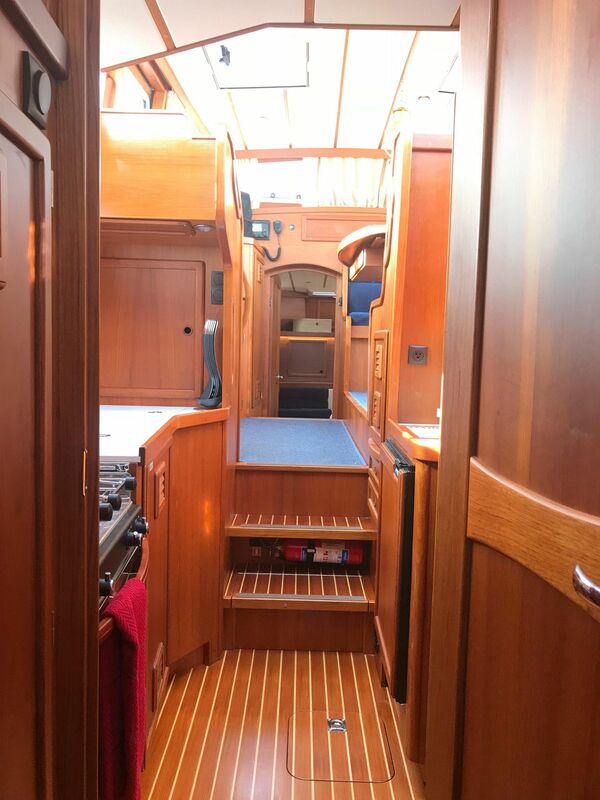 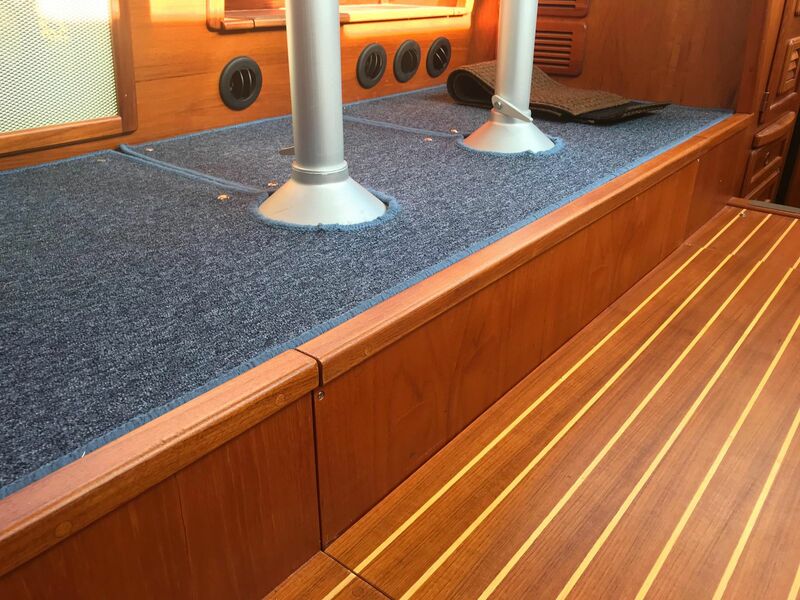 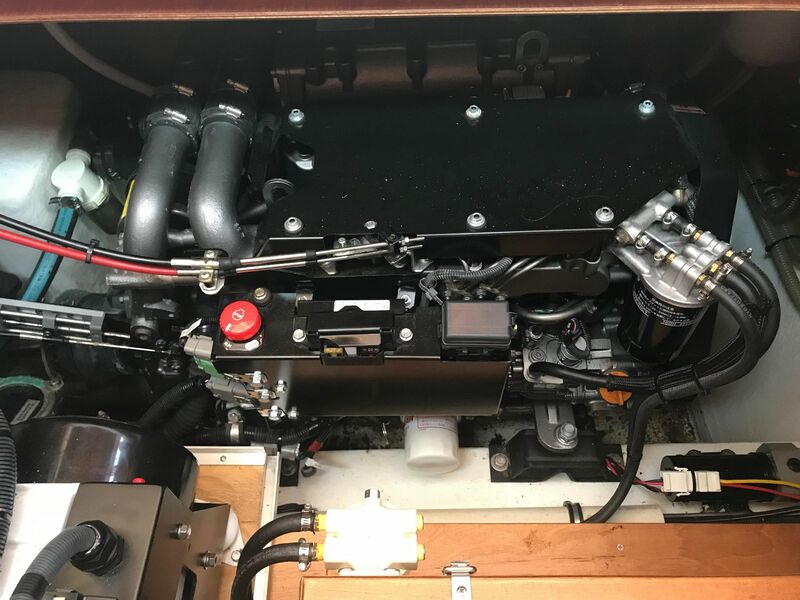 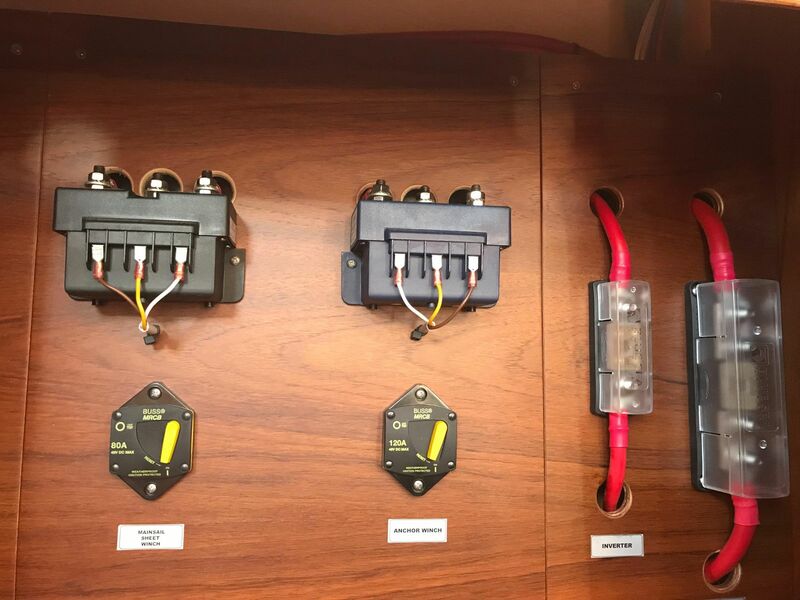 Aurora 6 – air heating in pilothouse for heat while underway! 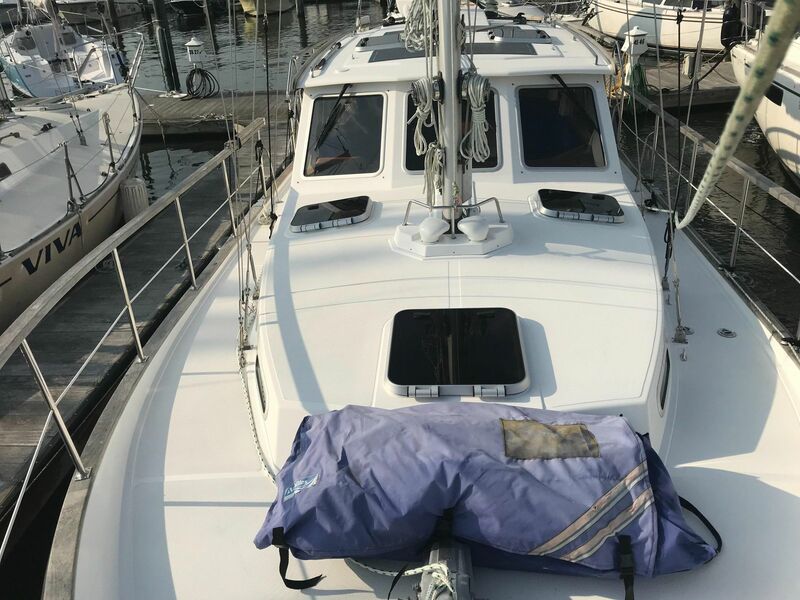 Liveaboard Option! 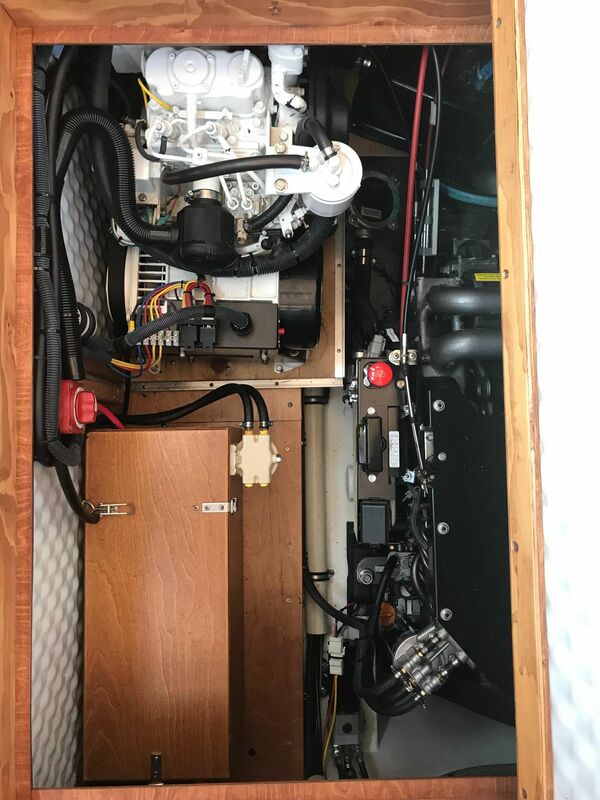 Two Cruisair “Turbo” reverse cycle heating and cooling units for use on shore power or at anchor with generator! 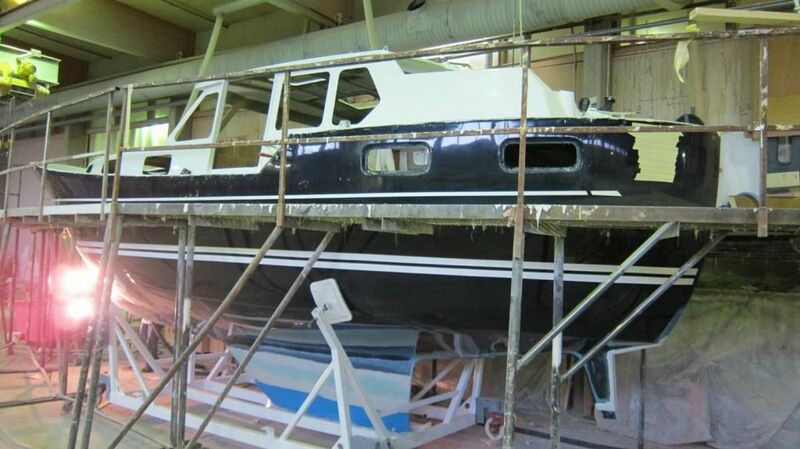 Kaskazi is…well she was built for you! 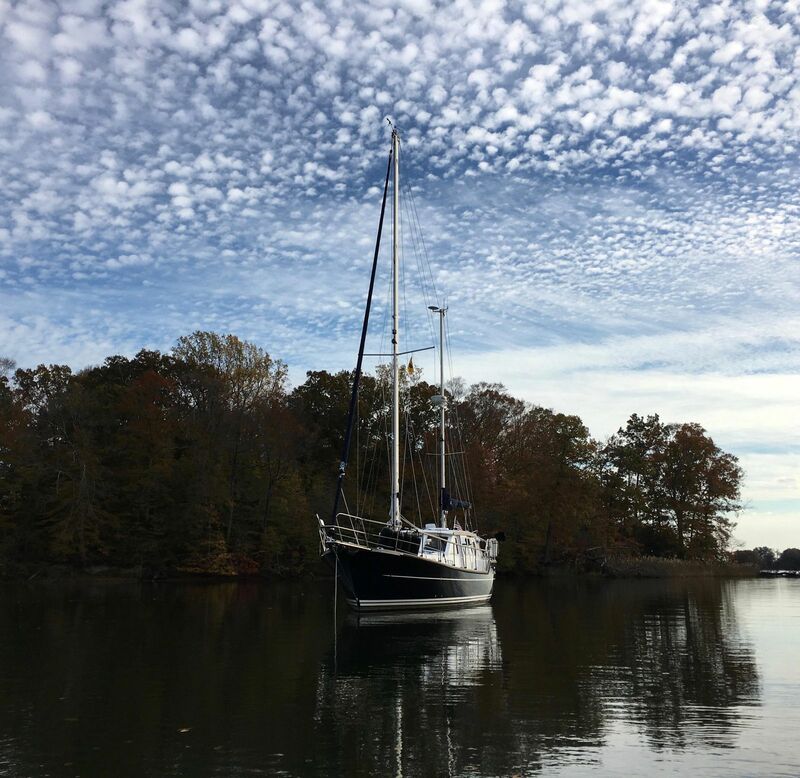 She is an extraordinary all-season yacht, configured and equipped for comfortable cruising and living aboard, whether at a quiet fall anchorage in Maine, or a chill evening heading south from Annapolis on New Year’s Day! 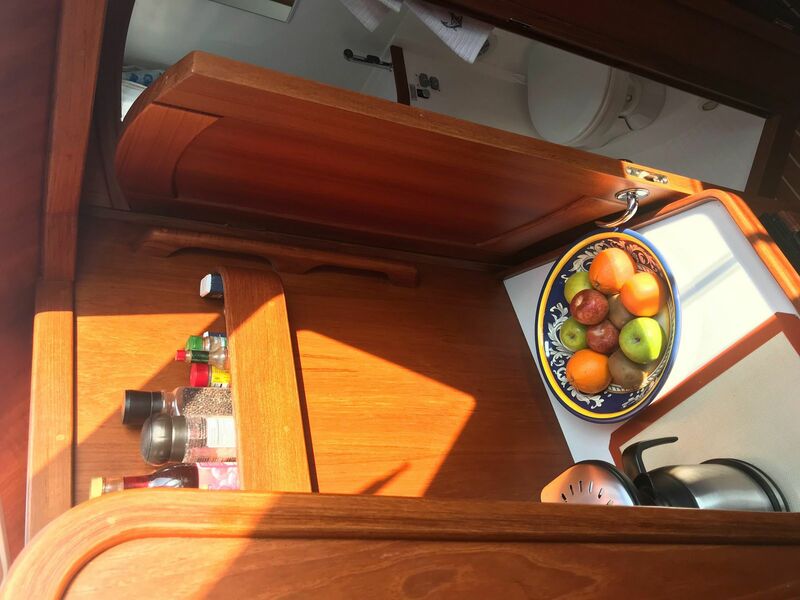 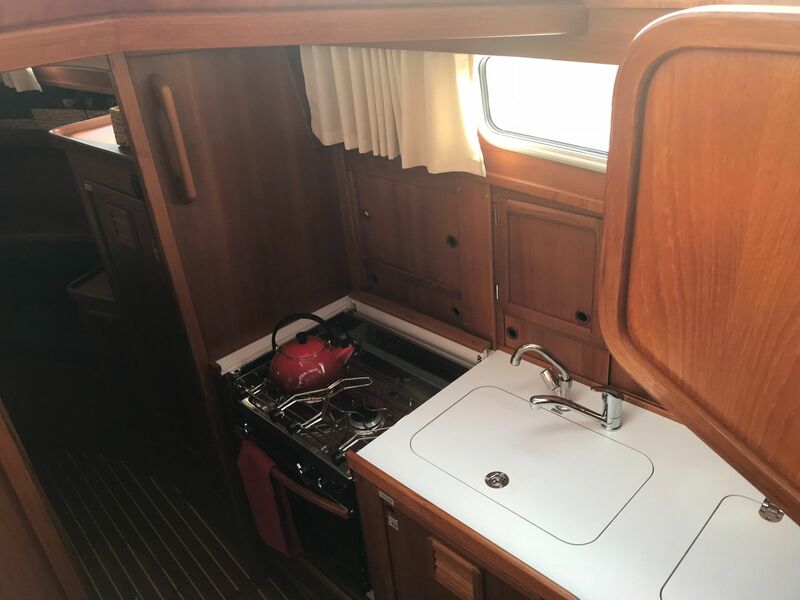 Her galley is furnished with every option, and her separate and spacious stand-up shower is the true mark of a live-aboard cruiser. 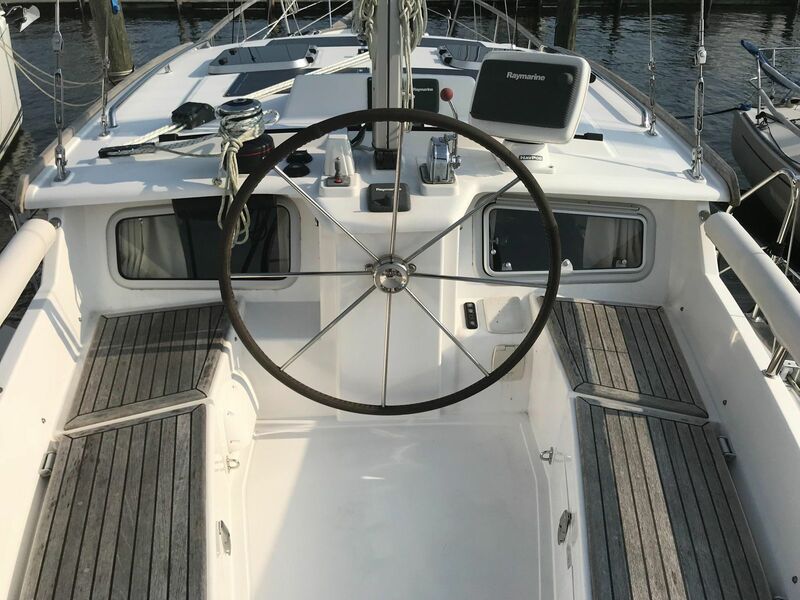 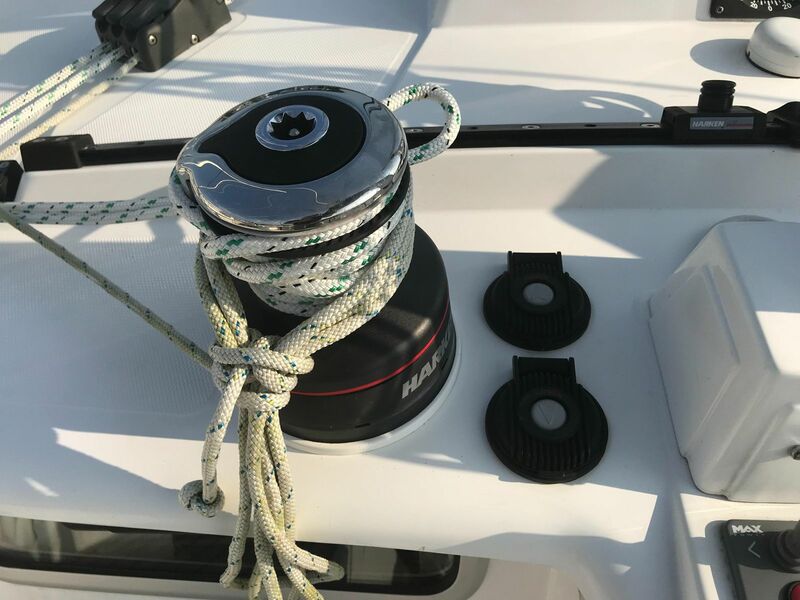 The ketch rig means easier sail-handling for a couple, and with in-mast furling and a power electric winch she is a breeze to handle under sail. 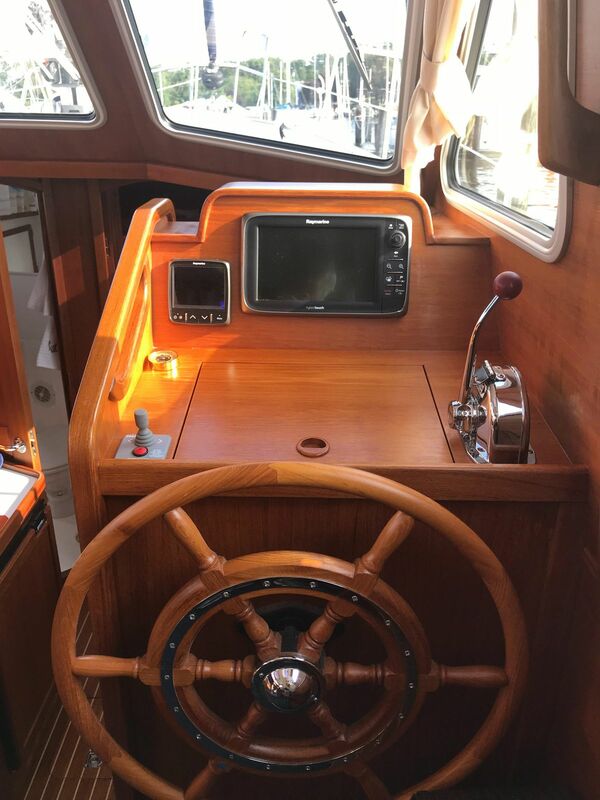 Her bow thruster and superb visibility from either pilothouse or cockpit means accurate, safe maneuvering into your slip. 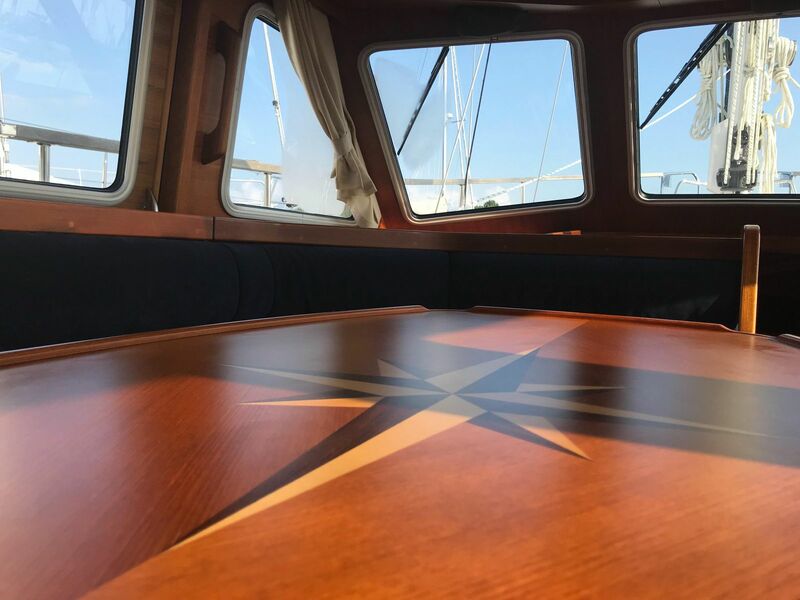 Her elegant satin varnish interior and inlaid teak table are crowning touches. 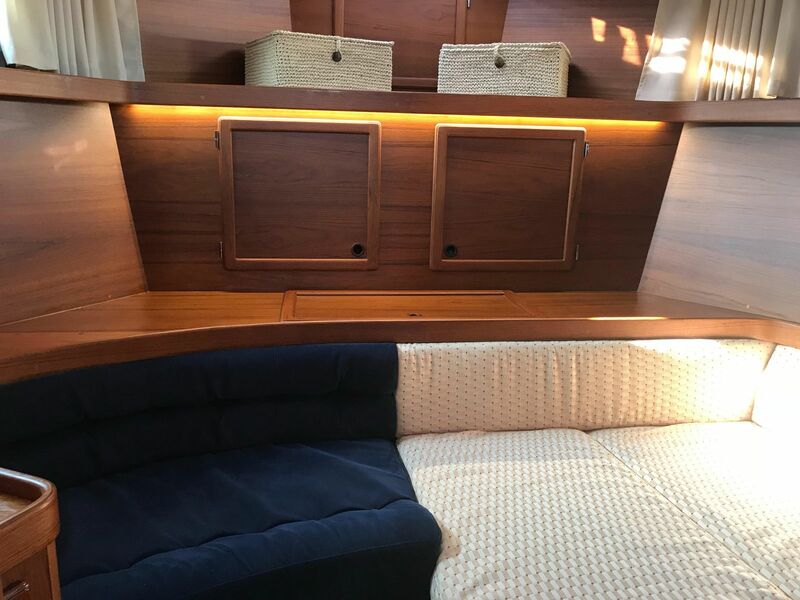 Kaskazi is complete! 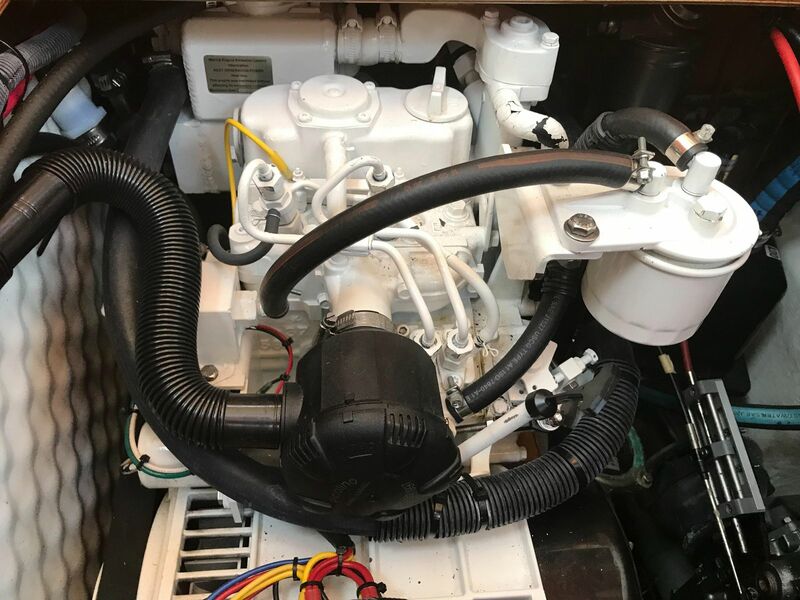 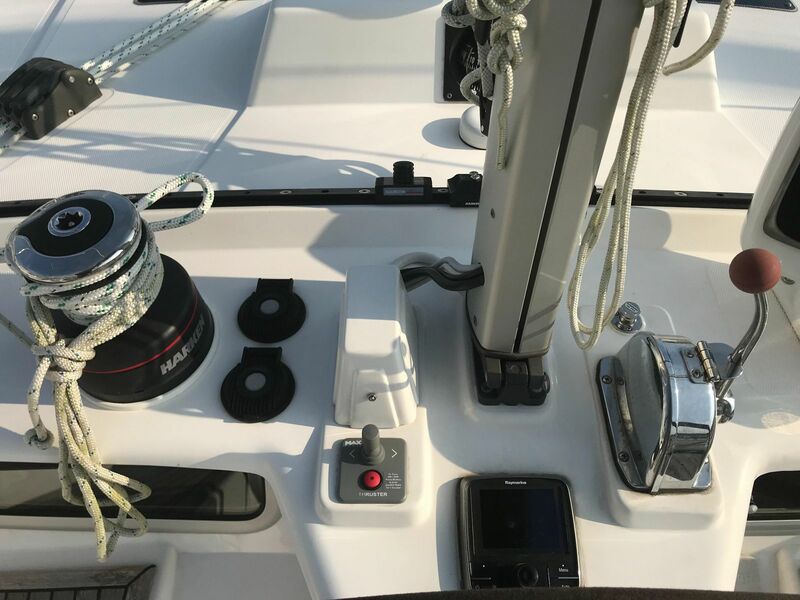 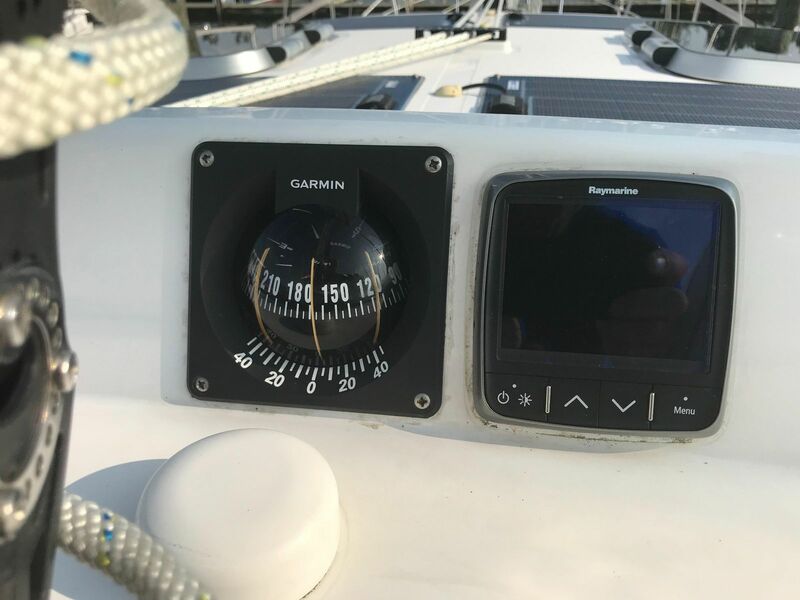 The Nauticat 331 is one of the few pilothouse vessels that was truly built to be operated from the inside as well as out, due to the superb visibility and complete instrumentation you have at both inside and outside helm stations. 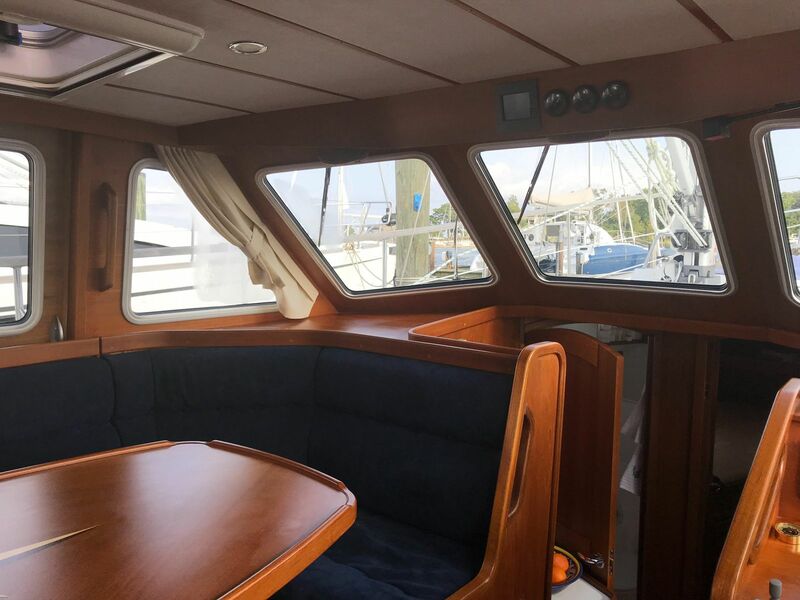 On deck, she is a delight with plenty of space for your water sports toys and for the fishing activities that can form the mainstay of a healthy diet in the Bahamas. 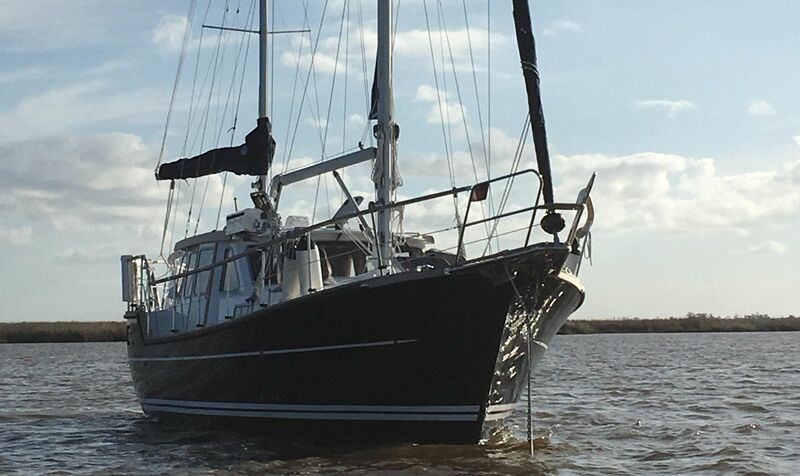 This is a unique opportunity to own a virtually new, superbly built sailing yacht. 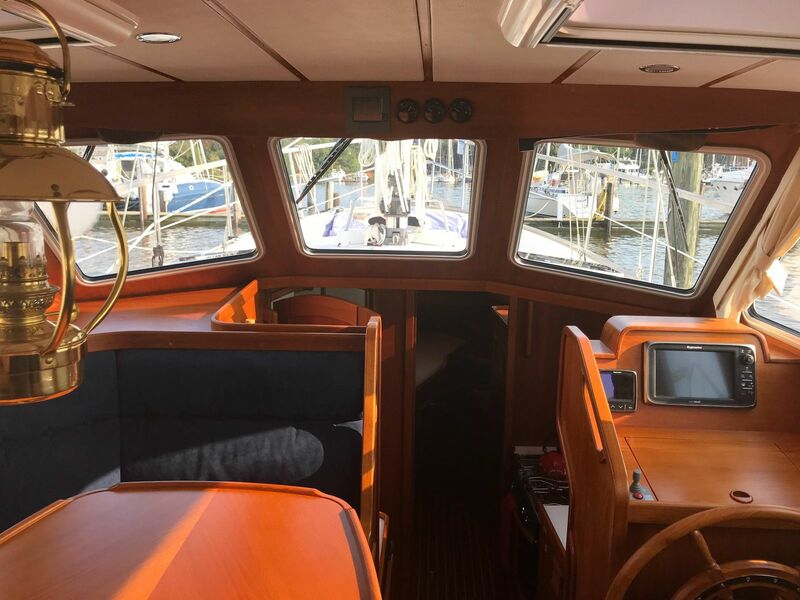 Her spacious pilothouse with 270-degree views is genuinely “a window on the world.” This magnificent vessel can take you anywhere! 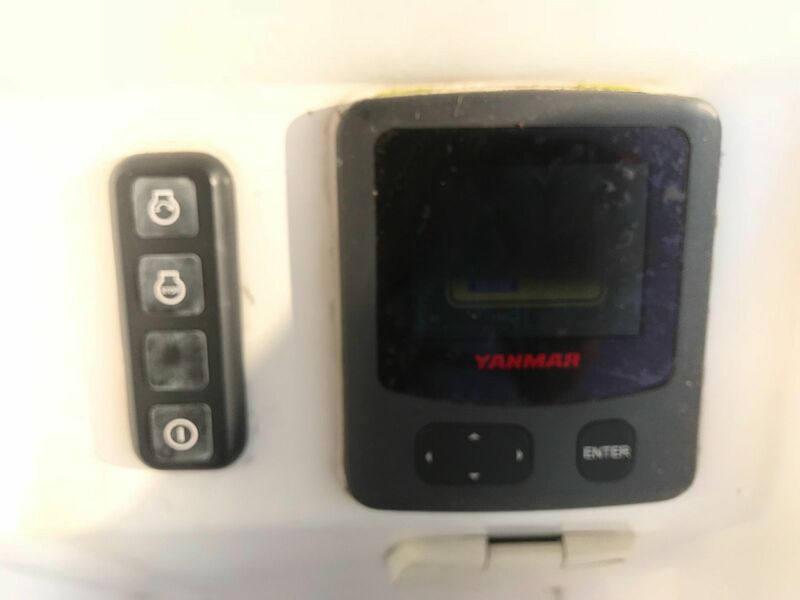 Better call soon or she'll be gone!